It may looks similar to some other products, but GN invent this unit, and now applying our own patent. GN is only able to provide the ViST vacuum shaker screen system to fit on GN won shale shaker, but also on clients’ existing shale shaker. 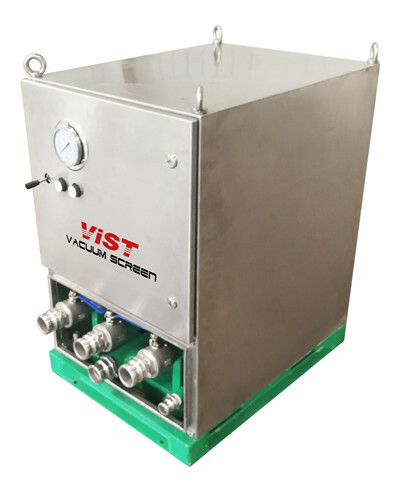 As the name implies, the ViST vacuum shaker screen system is including a ViST vacuum unit connecting with a collecting pan that is installed under the last panel shaker screen at the solids discharge port. 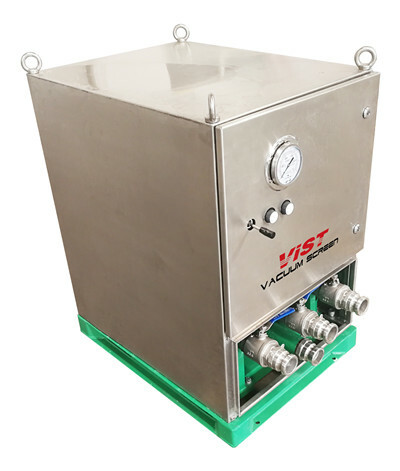 The plan is use a hopper with an opening at the bottom where connect to the vacuum unit via a hose. When the drilling cuttings pass through the last panel screen, the remaining large quantity fluids on the cutting would be sucked and get through the shaker screen mesh to the hopper then to the vacuum unit. A buffer tank will be needed. Sorry can not reveal all the principle details, or release a handbook, now it is operating in a few sites, hopefully will be more and more. If you wanna join, please feel free to contact with GN.